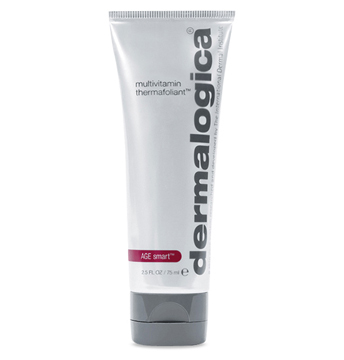 Dermalogica AGE Smart Multivitamin Thermafoliant gently exfoliates the skin for a more refined skin texture. 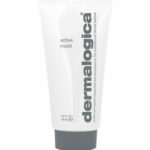 It polishes off dull skin cells to reveal smoother skin. White tea protects collagen by suppressing the formation of MMPs. Licorice and vitamins A, C and E brighten, firm and condition the skin while providing exceptional antioxidant protection. 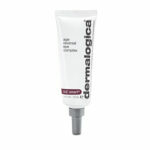 Skin feels and looks dramatically improved and smoother. Directions: Apply to damp skin in circular motion for one to two minutes. 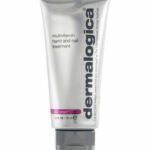 A more intense result can be achieved by using directly on dry skin. Rinse off. 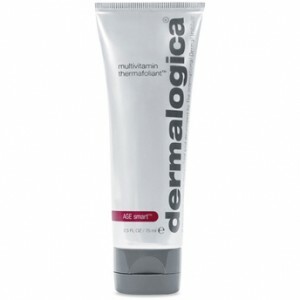 Dermalogica AGE Smart Multivitamin Thermafoliant Ingredients: PEG-6, Sodium Bicarbonate, Magnesium Oxide, C20-40 Pareth-10, Silica, Salicylic Acid, Retinol, Lactic Acid, Tetrahexyldecyl Ascorbate, Hydrolyzed Opuntia Ficus Flower Extract, Tocopherol, Citric Acid, Camellia Sinensis Leaf Extract, Glycine Soja (Soybean) Seed Oil, Glycyrrhiza Glabra (Licorice) Root Extract, Bixa Orellana Seed Oil, Carthamus Tincorius (Safflower) Seed Oil, Citrus Medica Limonum (Lemom) Peel Extract, Olive Oil PEG-7 Esters, Caprylic/Capric Triglyceride, Citronellol, Eugenol, Geraniol, Linalool, Limonene, Helianthus Annuus (Sunflower) Seed Oil, Rosa Damascena Flower Oil, Eugenia Caryophyllus (Clove) Leaf Oil, Pelargonium Graveolens Oil, Citrus Medica (Lemon) Peel Oil, Aniba Rosaeodora (Rosewood) Wood Oil.